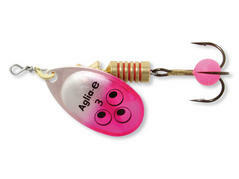 The Aglia-e Brite are the newest spinners within the Mepps range and are characterized by 2 developments, which are the intensity of the mirror-chrome colored spinner blades as well as the soft color bead at the treble. The spinner blade, which features the new "Brite" pigments on top of the silver mirror ground cares for powerful reflections of the light and generates a sparkling effect, which immediately catches the predators' attention. 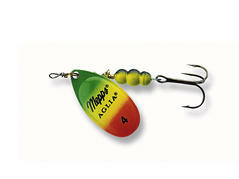 Thanks to the weight of the Aglia LongCast this spinner is one of the best longcast spinner on the market. You should never forget him! 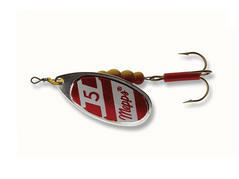 The spinner which made Mepps famous. 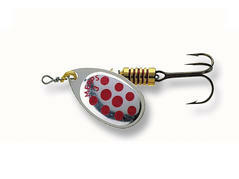 Standard spinner for normal weather and water conditions. 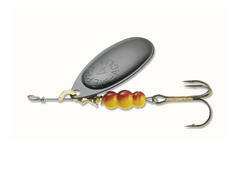 Very good for predatory fish. 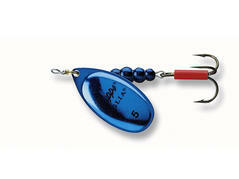 The spinner for heavy fished wateers. A very catchy alternative to the Aglia. 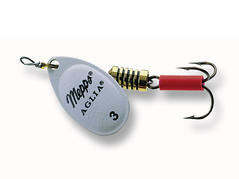 The most sold Aglia in USA and also a huge success here. 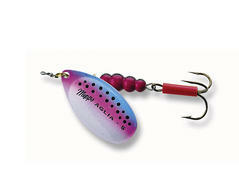 The classic famous Aglia is available in all bright fluo colors. Suitable for all waters. 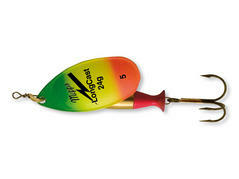 This spinner gained a constant place in the lure boxes of many spin anglers. 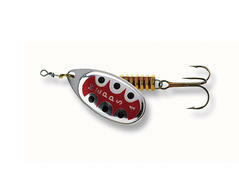 All the advantages of Aglia and the spinner blade is very attracting. The 3 color combination of the spinner blade can be seen in all water depths. A color is always attracting. Excellent spinner in the Mepps programm. Very successful for trout!